If there’s one thing I love more than a lip product it would be nail polish. So when I received my COVERGIRL products for this month I was super excited to see three bright and summery nail polishes. COVERGIRL recently released their Outlast Stay Brilliant polishes in a new miniature size! These new miniature, cocktail inspired Glosstinis are made with the same chip resistant and high gloss formula as the regular size. Personally, I love this idea! These polishes allow you to try the latest and brightest colors on your nails without committing to a full-size bottle! Perfect for a tropical getaway or just a fun way to change-up your look for summer. These Glosstinis are available in 9 gorgeous tropical shades that provide a glossy finish for up to 7 days! 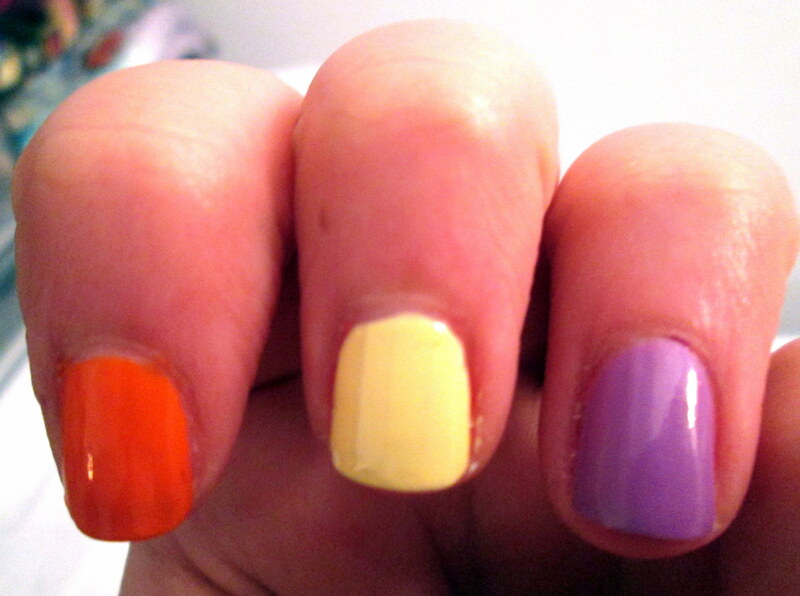 I received three shades-Orange Oasis (520), Pina Colada (510) and Purple Freeze (540). I personally love all three, but my favorite is Purple Freeze a super pretty mid-tone purple lilac shade. These polishes are opaque after two coats and the best part is that they are super glossy-NO NEED FOR TOPCOAT! 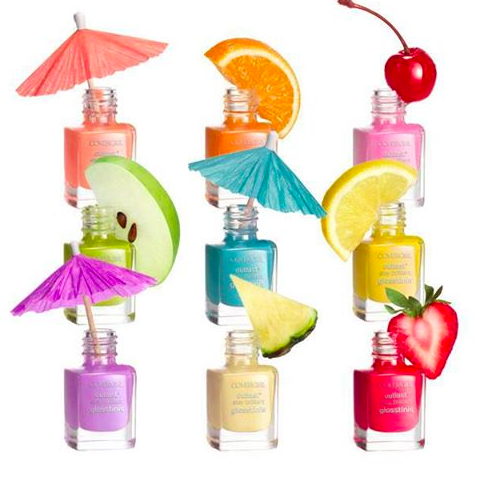 Interested in picking up a tropical cocktail for your nails? 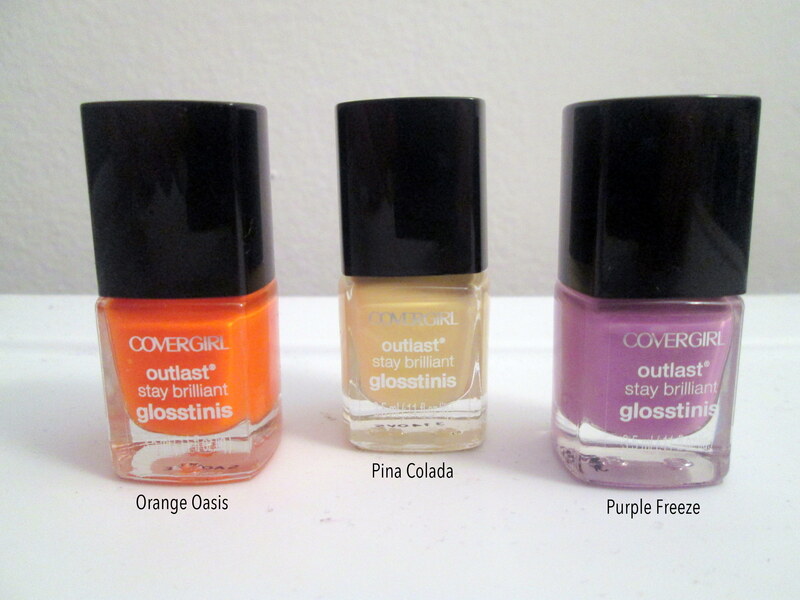 Check out your local COVERGIRL Retailer for these COVERGIRL OUTLAST STAY BRILLIANT GLOSSTINIS. Checkout COVERGIRL.com for more information! Thank you so much COVERGIRL for sharing these Glosstinis with me! I am absolutely loving the ankle strap heel lately. I love this style because it is the epitome of sleek, simple and versatile. Whether it be a classic black or a fun bright color these shoes are an absolute must! You can wear these shoes with your favorite LBD (little black dress) or pair them with your favorite trousers for a super chic look. What shoe style are you loving lately?